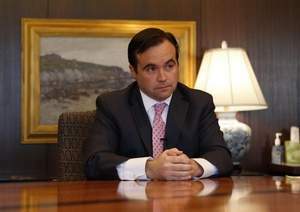 When John Cranley was elected to Mayor he jumped into the mix with both feet. He was making Mayoral decision even before he took the oath of office, as we saw with the dismissal of then City Manager Milton Dohoney, and he announced his intent to appoint Willie Carden to the job of City manager. This was a decision which, in my opinion, was rushed and not well thought out. Willie Carden may have proven to be a good top executive but as was quickly discovered, he came with some baggage that would probably have affected his ability to perform at the top of his game. It appeared to me (and many others) that race was a top consideration that Milton Dohoney used in selecting individuals to fill top-level positions in the City. A case in point is the recent selection of the new Police Chief. There were four finalists, three were Caucasian, and one was African-American. The job posting indicated that a master’s degree was preferred. Three had a master’s degree, one did not. Only one of the four admitted to felony drug abuse earlier in his life. Only one was under a veil of being investigated by a Federal Grand Jury for nefarious activities while at his former job. The person without the master’s degree, the person with the past history of felony drug abuse, the person allegedly being investigated by a Federal Grand Jury was also the only African-American candidate, the one who got the job. No one can say for sure what was in Milton Dohoney’s mind. I can make assumptions that his decision was racially motivated, but I certainly have no way of knowing for sure. I do know that the upper echelon of managers in the City, i.e., the “Directors” is heavily slanted toward African-Americans. Since I was not there to help select the candidates of any of these positions I cannot say they were or were not the best choices for the jobs. But, you have to admit, it does give one cause to ponder. And I can say with certainty that the combined group of top managers in the city do not look like the city they serve. I do not think race should be a factor of consideration when selecting the best candidate for any given position. There are other factors that should be considered when judging the worthiness of a candidate for a position without looking at his or her ethnicity, for example, education and experience . The Mayor owes it to the taxpayers to put the most qualified candidate into the City Manager position and the City Manager owes it to the taxpayers to put the most qualified into the director positions as he replaces them. I think it is time to center the pendulum. If it turns out that most of the positions are filled with African-Americans because they were the most qualified, then that is as it should be. If it turns out that most of the positions are filled with Caucasians because they were the most qualified, then that is as it should be as well. Therefore the new Mayor gets a do over. Willie Carden has withdrawn. Now he should take his time, do the nationwide search, examine at the applicants and select the best qualified. Let him not repeat the mistakes of the past such as the police chief selection. I know my position will not be popular with a lot of folks. Perhaps those who feel differently than I do would offer their comments and allow the debate to begin. I am always open to learn new ideas and new points of view. Totally agree. Though I am not well versed in Cincinnati politics, I think the time of affirmative action is over. Though there is some racism still, for sure, we have come such a long way as a country, that the remaining hurdles are small. We no longer need to give a nudge to those that have not had the same benefits that being white bestowed over the past few centuries. Difficulties exist, for sure, but our national mindset, I feel, has changed to one where we want to give anyone that wants to succeed a pathway to get there. You should fill a position because you are qualified. Not because of your race or any other reason.